My eldest had the stomach flu back when he was a toddler. You’d think I would’ve remembered best practices from that experience. Nope. Completely forgot everything we were supposed to do to help him along. As such, this post is for you and me. Should my kids get the stomach flu again, I won’t wonder, Wait—are we supposed to feed him solids or not? Here’s the big thing with the stomach flu: The biggest danger is dehydration. The problem with this? Kids can throw up anything they eat or drink. Even water. Give liquids, preferably clear ones like water, watered-down juice or broth. But if your child takes milk or formula, that’s fine too (pretty much anything he’s willing to take is fine). Offer a variety of liquids to see which ones your baby will take or not. Limit these liquids to half an ounce to one ounce at a time. 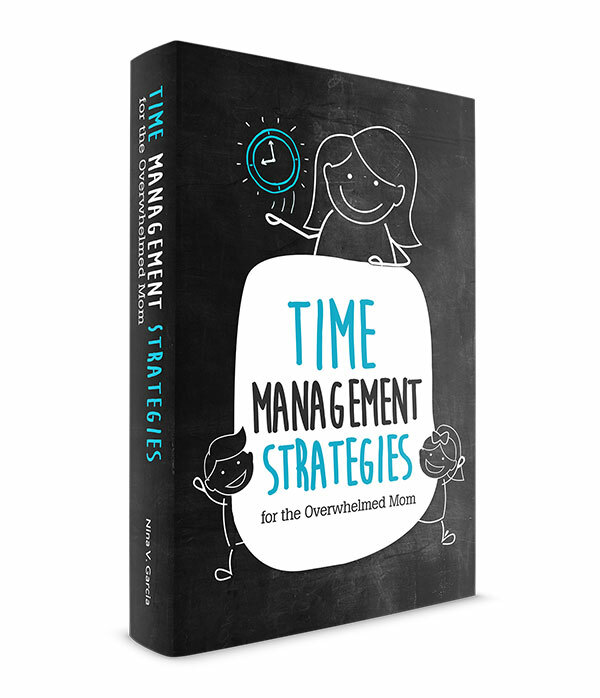 Offer them every five to 15 minutes. When we give our kids huge amounts of food and liquids, they’re likely to throw it right back up. But if we give a little here and there more spaced out, their stomachs are better able to handle it. These tips work even when your child doesn’t have the stomach flu and instead is only vomiting. I woke up to find that the same one-year-old who had the stomach flu had vomited all over his crib. Thinking he might have the virus again, I applied these lessons I learned (see, I remembered). I gave him an ounce of milk every five minutes, just so he wouldn’t throw it all up. Thankfully he didn’t actually have the stomach flu. But giving him milk in small doses over a longer stretch of time prevented potential throw ups. Remember how you felt dizzy and nauseous from morning sickness during the first trimester? You could hardly eat anything save for a few crackers. Your favorite food—oatmeal! chicken!—were too disgusting to digest. And sometimes you vomited. This was morning sickness at its finest. And now your little baby has it too. Not morning sickness per say, but similar stomach flu symptoms. They’re tired. Nauseous. They have no appetite. Recall how you felt during those first few months and remember it’s likely your child feels the same. So now is not the time to swoop him up from the floor and into your arms in lightning speed. Instead, take your time lifting him off the ground. If you carry him around the house, move slowly. It’s not exactly a fun ride when you’re nauseous and toted around quickly. And as with morning sickness, big meals aren’t always appetizing. Assuming he can now tolerate solids, feed them a little throughout the day, maybe every hour if need be. The stomach flu is contagious. My eldest caught it from a Christmas party when other family members were recovering from it. Once he contracted it, my husband came down with it the next day. You may not be able to stop the bug. After all, you can’t exactly tell your baby to stop drooling or cover his mouth when he sneezes. But do your best to sanitize as much as you can. You’ll also want to wash your hands often. For good measure, make it a rule to wash your hands each time you enter the kitchen or bathroom. And wash anything that got soiled: crib sheets, bumpers, clothes, blankies, towels and rags. When you can finally offer solid food (aka it doesn’t come right back up), stick to simple, bland food. Pureed apples, bananas, crackers, yogurt and toast are good first choices. 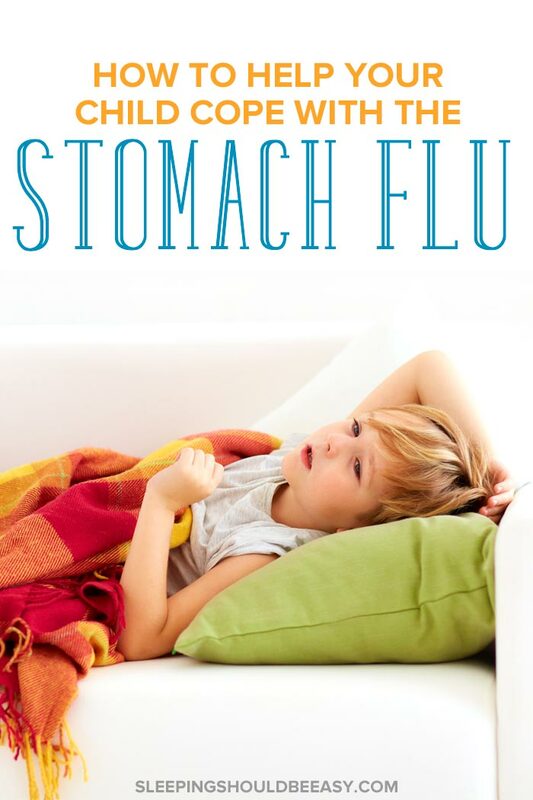 With the stomach flu virus contagious, keep all utensils, bowls and finger foods clean. We usually offer food from the same bowl and hand them to our twins—we couldn’t do that with the stomach flu. Of course, right after I wrote this post, guess who should come down with a case of the stomach flu herself? It must be retribution for my impatience with my kids when they had it. Or maybe it was the universe showing me just how wretched one can feel with the stomach flu. Either way, I’m even more sympathetic for my kids during the times they’ve caught the stomach flu. Next time, I’ll remember these steps and not leave my husband fending for himself with a sick child. Not sure what to do when the kids get sick? 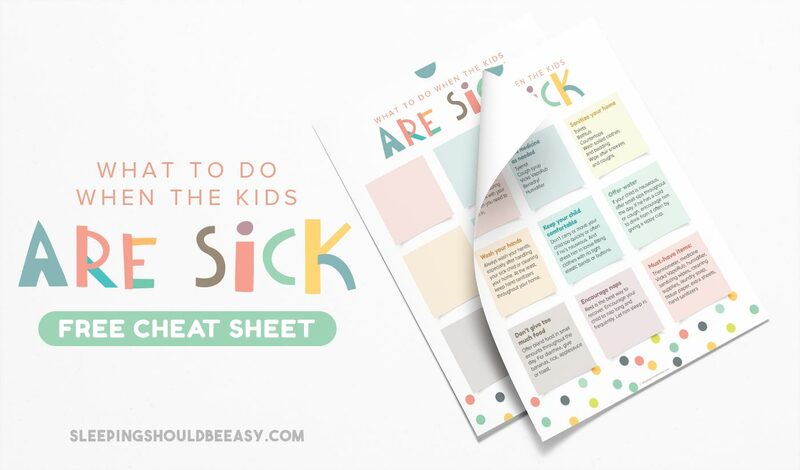 Join my newsletter and grab my Kids Are Sick Cheat Sheet! The first page include ideas on what you can do, while the second page is a blank template to fill with your own ideas. And finally, I include a dosage tracker to record the medicine you offer. Is Parenting the Hardest Job? Have you or your kids come down with the stomach flu? What was your experience like? What was the best tip you used to help ease the discomfort? Share your tips in the comments! What is funny about the stomach bug is that it seemed so horrific until I got pregnant with my second. That was seven weeks of feeling seasick! It made a 24 hour bug seem like nothing. I know how horrible it is and I’m surprised that it’s still raging around our town. I thought it would leave with winter, but winter hasn’t really left yet… Soon enough. These are great tips. I’m so sorry you got it too! Scarlet got one when she was two and it was terrible. Then Cassidy got one last winter but he happened to be at his parent’s house and somehow didn’t give it to them or us. Good point, Tamara! A day or two of the stomach bug isn’t too bad when you consider how long we were nauseous for during the first trimester. Though, to morning sickness’ credit, I never actually threw up (just always felt like I had to) whereas with the stomach flu, I did :/ But yeah, no fun either way. Norovirus hit our area HARD. These temperature fluctuations allow noro to, ahem, get busy. Just as when flu hit us, I didn’t want the baby to get it so I went crazy with the bleach and nobody was allowed near him. This year I slacked with my usual immune boosting things. I didn’t make any kefir, I only used chicken stock for recipes (I used to sip on some with garlic as an afternoon snack), and I don’t think I used fresh ginger in anything. And this year we got every wave of colds, flu, and yes, noro. Oh wow Courtney I didn’t even think to have an anti-flu regimen. I think my biggest culprit was rubbing my eyes or touching my mouth and nose. At least babies have an excuse because they can’t always help it and put their hands in their mouths. My little guy hasn’t gotten a stomach virus yet, but it’s bound to happen sooner or later. Love the tip about treating them like they have morning sickness. That certainly helps me relate! Ugh Katie I hope your kiddo never does. My first guy got it when he was between one and two. He was miserable, although the upside to that and all this sickness is that they are much more willing to cuddle 🙂 When they’re well all they’d rather do is move around, but when they’re sick, they’ll actually sit still long enough to just sit there and lounge. Very sound advice and I’m pinning it for a time I hope we won’t encounter because we’ve already had one bout of stomach flu and hubby and I had it the worst! I love that morning sickness tip. #4 is terrific insight. I could only imagine being picked up and carried around swiftly when I felt so sick. Ugh! Great thinking! I give credit to their pediatrician. Well, she didn’t liken it to morning sickness, but she did remind me that they’re nauseous and to be gentle. I immediately thought about how we’re so quick to whisk our kids from the floor into our arms, or tote them around from room to room, and realized that probably won’t do when they’re sick. Excellent tips. Stomach bugs are tough! Thankfully, it isn’t something my kids (or Mike and I) get very often. I will say, though, that the few times it’s happened I have been very grateful that I invested in waterproof mattress covers for all the beds in the house! Yes me too MaryAnne! I LOVE the waterproof mattress covers we got for my eldest’s twin bed. Though in my case not so much for the stomach flu but for when he was potty training. Best invention ever! This is such a helpful post. We just had the flu run through the family for the first time in three years, and Mom did not like it. Greetings from the Let’s Get Real Friday Party. Hope you guys are feeling better, Melissa.